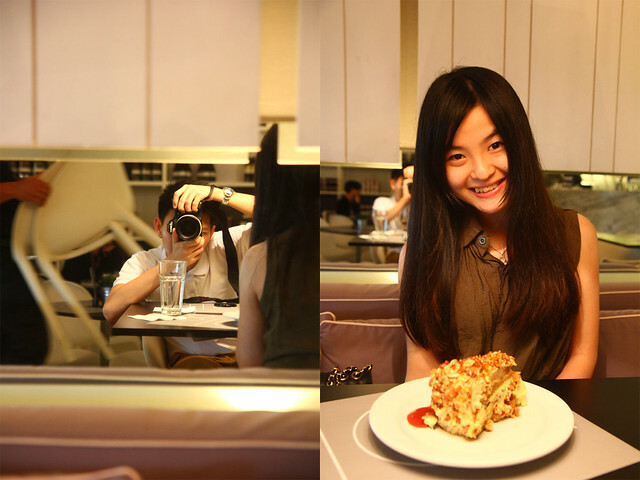 Klang Valley: Awesome Tiramisu @ Alexis, Bangsar Shopping Centre – I am starting to miss this tiramisu from Alexis. The world is so big that there’s so many better food out there! Before this, I always thought of China House at Penang has the best tiramisu cake, but actually not, Alexis has even better one! I actually get to know about it by a friend that she claimed that Alexis has a better one. This sparked my curiousity and no doubt, it is. Talking about Alexis, they serve various western cuisine, as well as fusion food too, but my visit was just for the sake of tiramisu. They have a few outlets, one at The Gardens, Mid Valley, another one is outside of Bangsar Village Mall, one is at Bangsar Shopping Centre (the one I went) and another one at Ampang. 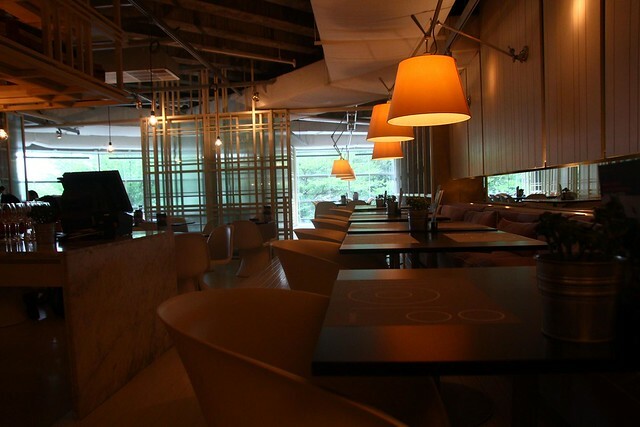 It’s kind of ‘atas’ to me with a nicely decorated minimalist interior and if you come at certain nights, they have relaxing jazz music accompany your meal. Pretty cool! Too bad I am already back to Penang, don’t get much chance to visit again. Hmmm! RM15 per piece. 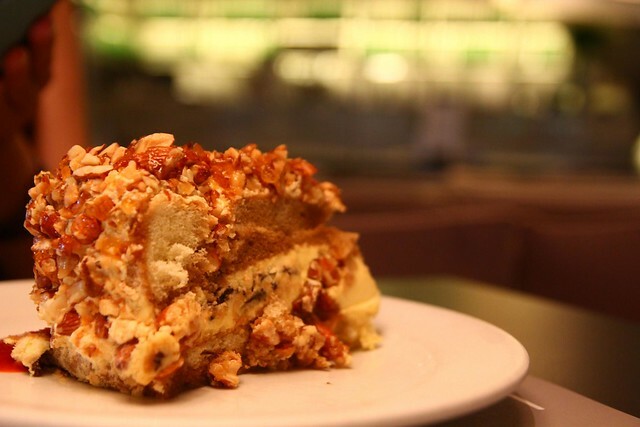 What’s good about the cake that it’s the sweetness is just nice and the cake is overloaded with caramel peacan which resulted the sweetness and the crunchyness of it. Cake itself is not too soft but the thing lack of is the alcohol taste. Some might not like the sweetness of it, but not me and comparing with China House, I’ll take this. Yay. Dear Clarice with the cake! Click here for information of other outlets.